AutoFair in Merrimack has sold the first car in the country in exchange for the cryptocurrency Dash. 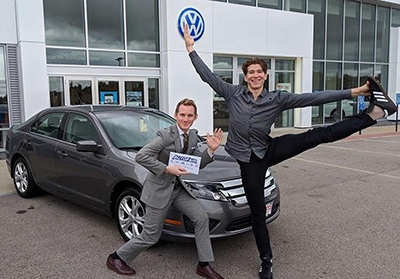 AutoFair sold a 2012 Ford Fusion for a payment of 36.9855 Dash, paid in full up front — a value of $7,560. The transaction was processed by Anypay, a cryptocurrency point-of-sale app, which is widely used in New Hampshire, according to a press release from Dash. AutoFair has over 300 cars available on the Merrimack lot for purchase with Dash, and is running a joint promotion with Anypay in order to sell additional vehicles. The next four cars sold for Dash will receive 10 percent “Dash-back,” which will be split evenly among the dealership and the customer, accounting for a 5 percent discount for the customer and a 5 percent bonus for the dealership. This amount is capped at a $1,000 total value per purchase. Freeman believes it will help incentivize additional merchants to accept Dash, as well as hold on to it instead of immediately converting to cash in the bank.